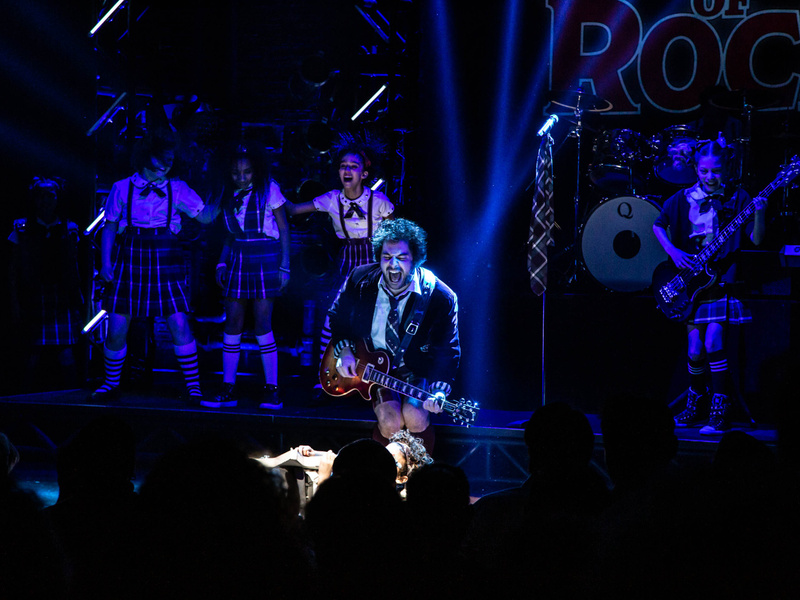 Justin Collette and the cast of "School of Rock"
After three years on Broadway, School of Rock played its final performance at the Winter Garden Theatre on January 20. 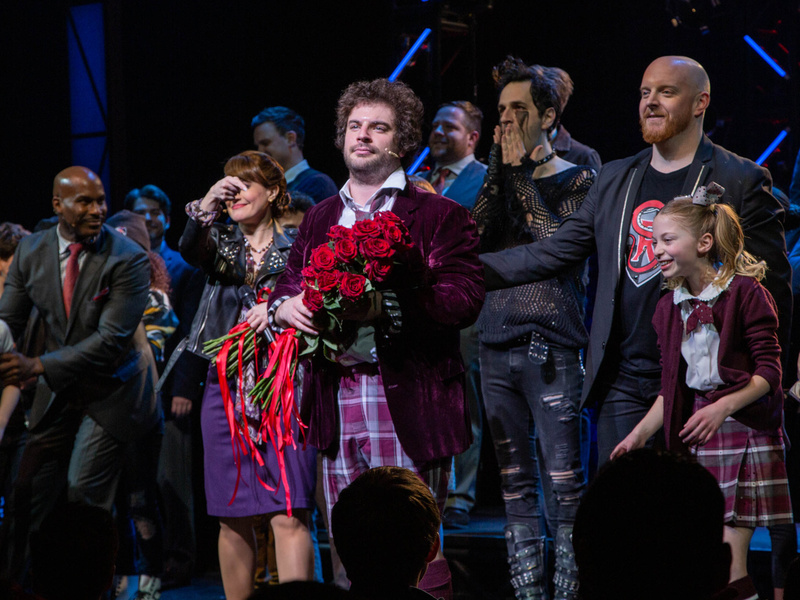 For the occasion, several alums of the musical came back to rock out at the finale one last time. 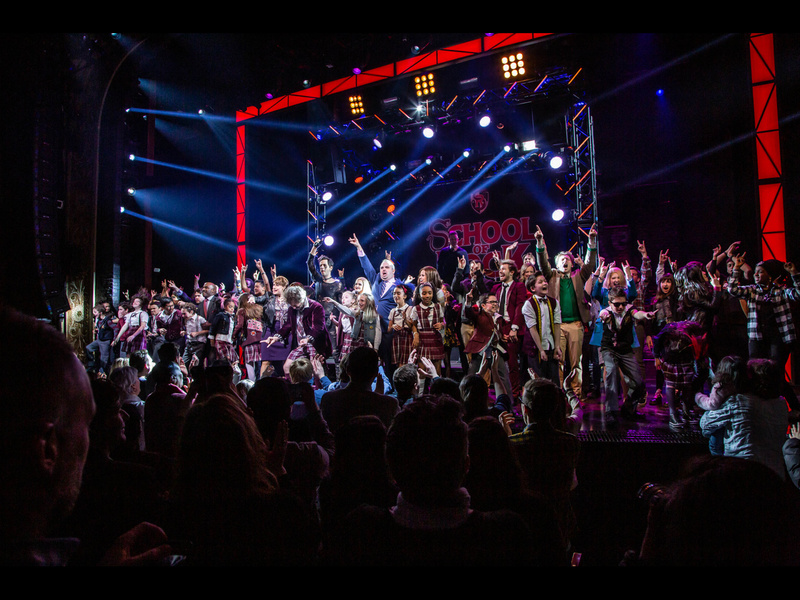 Check out these photos of the cast, including stars Justin Collette and Mamie Parris, closing out the Andrew Lloyd Webber hit.